In this article we'll review what WordFly segmentation is all about, how to start using it and where to find more information. WordFly segmentation allows you to target a specific portion of your subscriber list based on any data (Profile Data) you've imported or any event (Activity) response created from a previous WordFly email campaign, e.g., Opens, Clicks, or Forwards. For organizations using the Tessitura CRM integration, you can segment by source number. All segmentation is created and applied inside a standard email campaign. 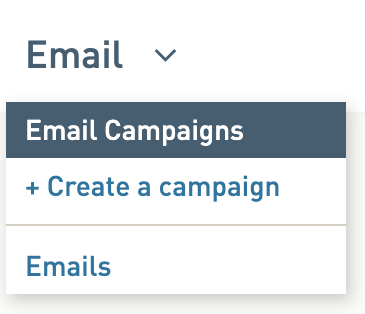 You’ll find the feature on the Subscriber List step when you’re creating a standard email campaign. When you create a new segment, you will be asked to define the requirements. Only subscribers who meet the requirements defined in the segment will be included in the deployed email campaign. Segmentation only includes subscribers in a campaign's list. You can use the operators to suppress subscribers, but only includes. You can fine tune how multiple segments are applied by selecting whether the subscriber must meet Any or All the segments. Any means the subscriber can meet any one of the segments and will be included. Even if a segment does not include the subscriber they would be included if one segment does include them. All means the subscriber must meet every segment to be included. If the subscriber does not meet even one of the segments the subscriber will not be included. Once a segment is applied, it will dynamically update if more subscribers meet the criteria or if any stop meeting the criteria. WordFly checks every 2 hours after the segment was applied and updates the counts. Think of the segment like a rule or a filter being applied to the list. Once applied, it will always be looking for subscribers who meet that criteria. Segmentation is applied when an email campaign is deployed. Keep this in mind when you're testing personalization using Testing > Subscriber Preview, the segment will not be applied as a filter for subscriber preview. Let's review how to add a segment to your email campaign's list. All segmentation is created and applied inside an email campaign. First build your email campaign and import or select your subscriber list. You will add your segment on the subscriber list summary page. 4. 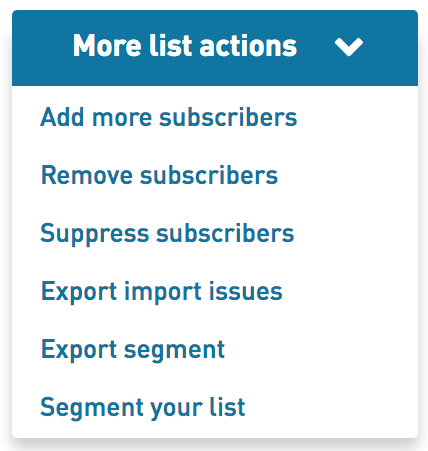 Import or select your existing subscriber list. 5. On the List Summary page, select More List Actions > Segment Your List. 6. Select which type of requirement you'd like to segment by. 7. Use the Profile Data or Activity options to further define your segment. 8. When you’re ready, click Add to Segment. 9. (Optional) Repeat steps 6 and 7 as needed. 10. Select whether Any or All of the requirements must be met in order to include a person in a segment. The Any and All requirements help fine tune how multiple segments will be applied to the segment filter. 11. When you're done selecting your options, select Apply to List. When you send your campaign, only the subscribers who meet the requirements will be included in the campaign. On the Subscriber List step of your Email Campaign, select Edit next to the Segment summary. This will take you to the Segment Your List page where you initially built your segment. You'll be able to modify the requirements of your segment as needed. 1. In your In Progress email campaign, select the Subscribers tab. 2. On the List Summary page, select Remove next to the Segment summary. Your Campaign will now be sent to the entire Subscriber List.